James G. Jones was Evansville, Indiana's 1st. Mayor from 1847-1853. 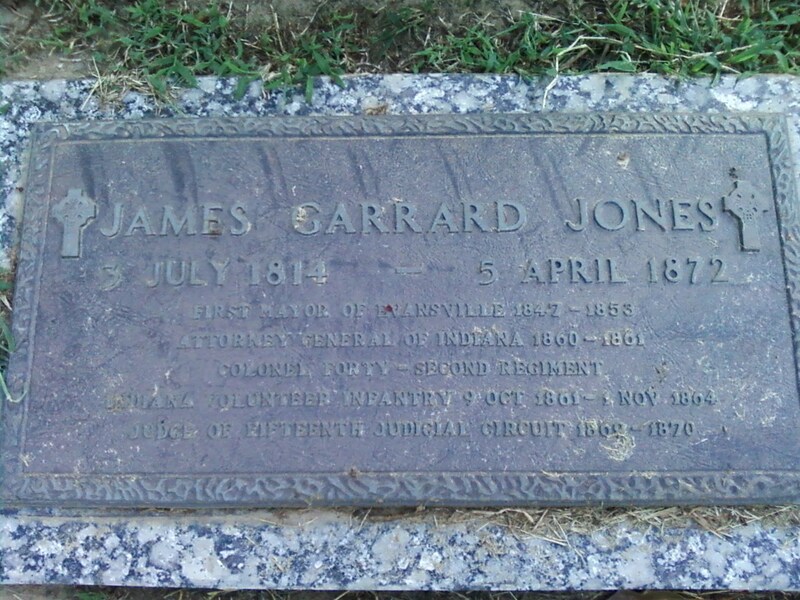 This plaque is placed on his grave at Oak Hill Cemetery. Click on the photo to get a larger image. 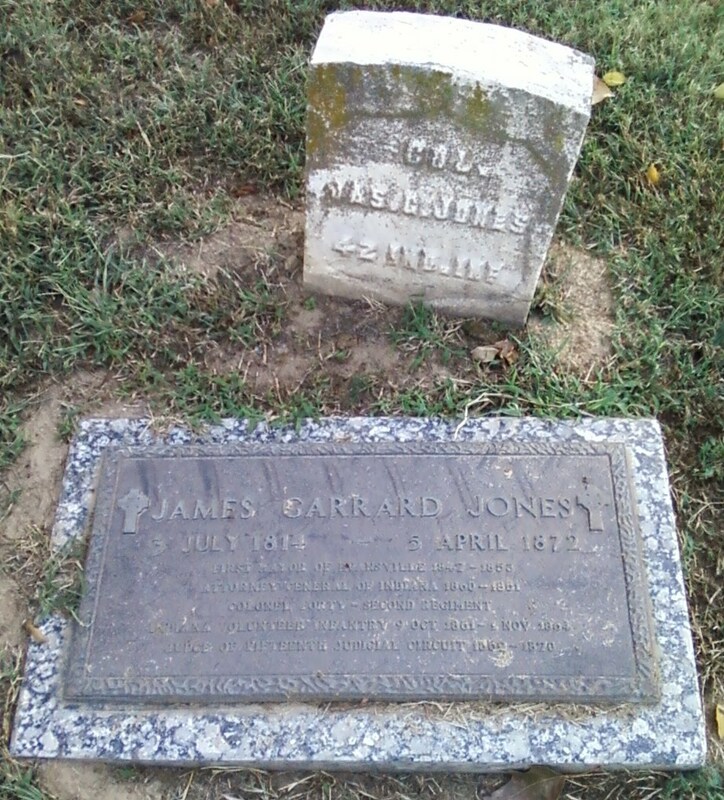 James Jones was a lot more than just Evansville's Mayor! He served as Indiana Attorney General 1860-1861. 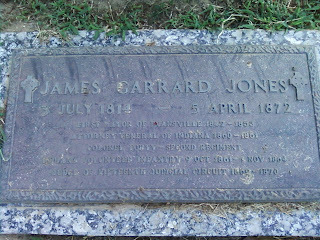 Below is Colonel Jones Civil War marker.